Enter Jolse, my bae 🙂 Online store Jolse and I have collaborated on several product reviews in the past and I thank them for considering a small time beauty blogger to review their products. Many e-tailers don’t like working with smaller bloggers, so I am always grateful when a e-tailer is happy to work with me. Jolse had initially offered me a skincare product, but I had to decline due to some of the ingredients. 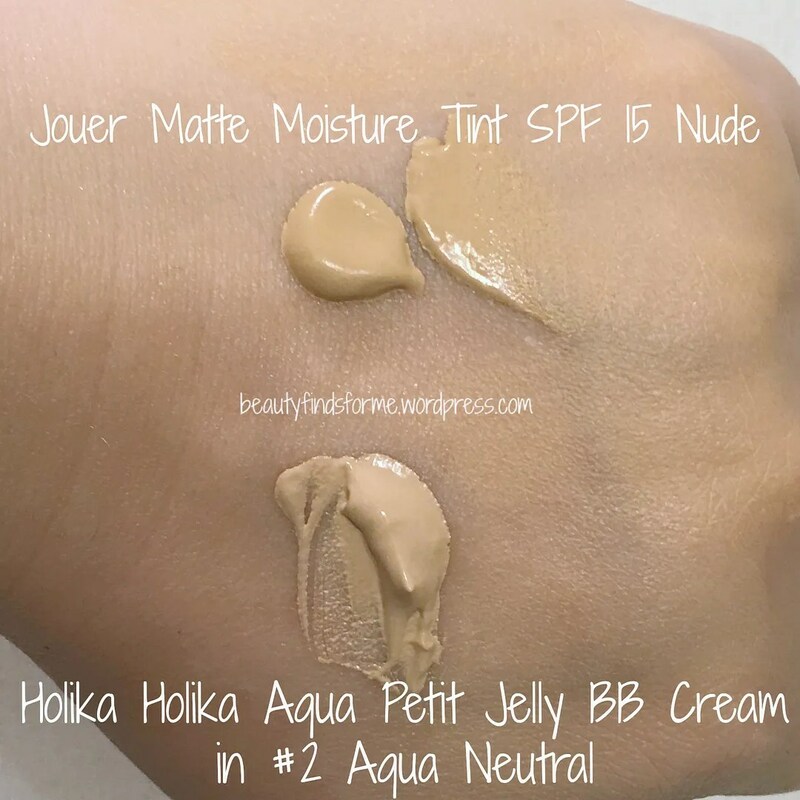 They then generously allowed me to pick a few items from their store, and I remembered my wish list and added Holika Holika Aqua Petit Jelly BB Cream to the request. This comes in two shades ~ #1 Aqua Beige, which is the lighter and pinker of the two and #2 Aqua Neutral, still light but more neutral in its tone. I chose #2 Aqua Neutral. Description: Fully water-charged Aqua Petite Jelly! Jelly BB Makes moist and bouncy jelly skin. Has jelly texture that helps spread evenly and creates fully hydrated and shiny skin. It is also perfect for covering up facial blemishes. Mint water hydrates facial skin, and marine jelly complex makes soft and bouncy skin. This BB cream has been around for a while and when I was researching it, I found that it is very popular in S. Korea and is a favorite of many big name beauty gurus. 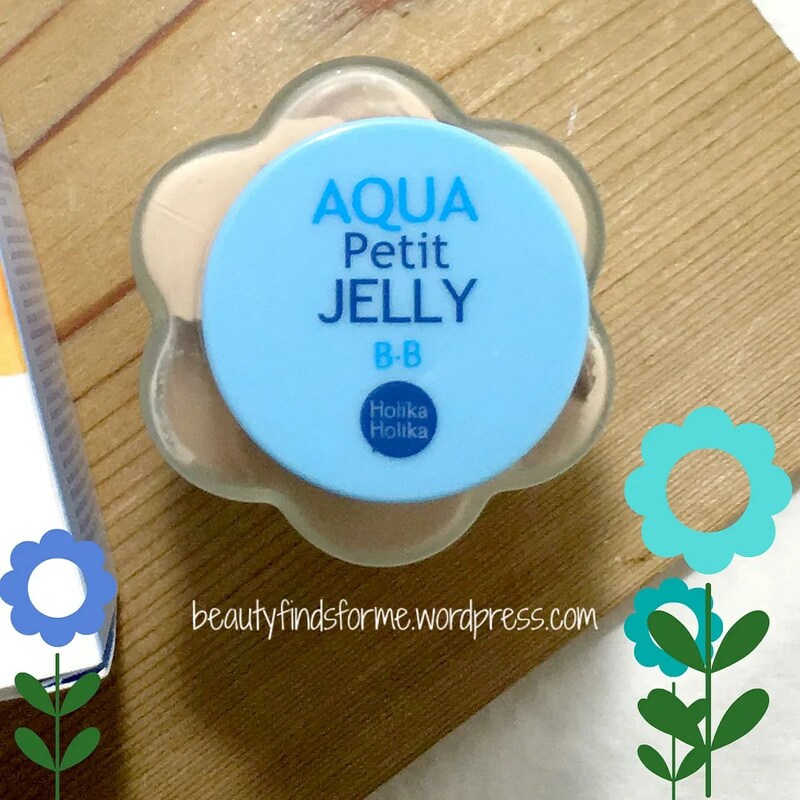 Holika Holika Aqua Petit Jelly BB comes in a huge frosted scalloped glass jar with a blue and white polka-dot cap. If you look at the jar from above, it looks like a flower design 🙂 This is the cutest BB cream container I have seen, but it is SO inconvenient ~ it is not portable and it will break if dropped, as it is glass. It also comes with a slanted sponge applicator. The cap screws off and attacked to the bottom side of the cap is a spatula that is used to scoop the BB cream out of the jar. The cream is a jiggy-wiggy jelly in the jar and it has a very light pleasant scent that disappears quickly. Now, the description does say shiny skin ~ which is not the effect I want. Since this is a water based BB Cream, I hope that it won’t be a dewy product. This BB cream contains 80% mint water ~ in fact three types of mint: Peppermint, Wild Mint and Apple Mint Leaf ~ and are rich in vitamins and minerals, such as manganese, copper, vitamins A, B2, and C. These ingredients cause a cooling effect on my face ~ but not icy cold or anything, it just feels refreshing. The mint extracts will also help with sebum control as they have astringent properties, so this is now sounding more and more like a BB cream for oily skin. This also contains “Marine Jelly” complex which, according to Holika Holika, is the plant collagen extracts made from 7 different types of seaweed ~ spongeweed, ulva compressa, kelp, brown alga, red algae, brown seaweed, agar ~ full of potent anti-aging antioxidants unique to sea plants such as phloroglucinols and alginic acid as well as iodine and other minerals. It also contains atelocollagen, which is made from shark or cow skin and it is a a collagen protein that is hydrating and has anti-aging properties, softening fine lines and wrinkles. This also has the trifecta of deeply hydrating ingredients: glycerin, sodium hyaluronate and aloe vera. I love the fact that it’s water-based as they are fantastic for oily skin. 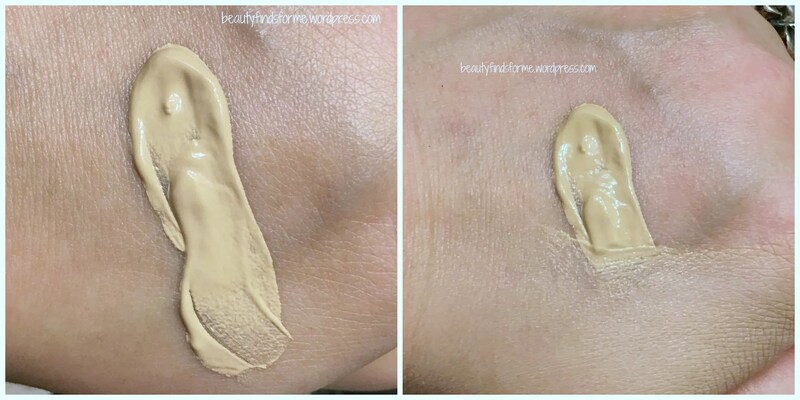 The texture looks to be a jelly (or pudding) in the jar, but it actually feels like a mousse or chiffon texture when applied to my skin ~ it is very lightweight. This does contain titanium dioxide to provide sun protection (SFP20 PA++) but it doesn’t feel heavy or greasy. I am really happy this has SPF in it, even though I wear an SPF as the last step of my skincare products ~ you cannot have enough!! Sun damage is the Number One cause for premature aging ~ and I know it! 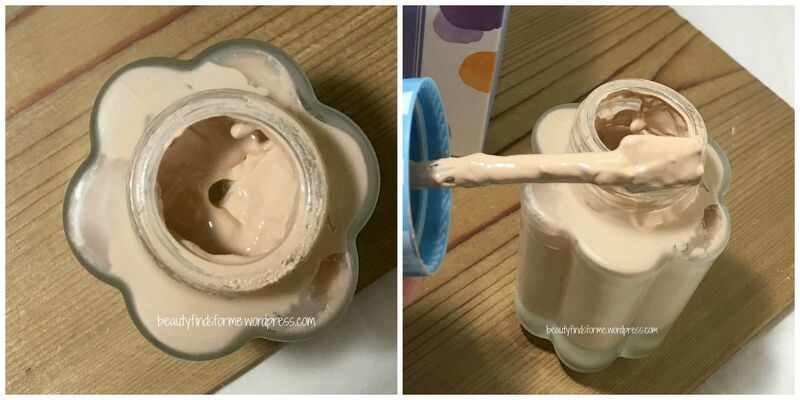 This actually blends out nice and is not cakey, but has almost a watery feel to it ~ it is easy to apply and it does dry quickly, so don’t over do the blending here. The finish is very natural looking, with a semi-matte/matte finish and it doesn’t have a gray cast or is too pink. Even after several hours, the shade remains true and I do not have the dreaded orange oxidation of a BB cream gone old. This isn’t that moisturizing, so I recommend this only for oily or combo/oily skin types. I do like using the sponge if I want a more airbrushed look and if I have the time or if I am dabbing a bit more product on my problem areas (blemishes), but for the most part, I apply this with my fingers ~ and work quickly. Once this dries, if you try to work the product more, it will look really bad. Just add a new layer of BB cream if you need more, as this is very buildable. I don’t do selfies with my bare face ~ I usually do sheet masks or wear huge sunglasses. However, as I really love this BB cream, I did take a before and after. No filters were applied to these photos but they were taken in artificial light, so I might look a bit more yellow than I really am. Other than the BB cream, I am not wearing any other makeup or primers. 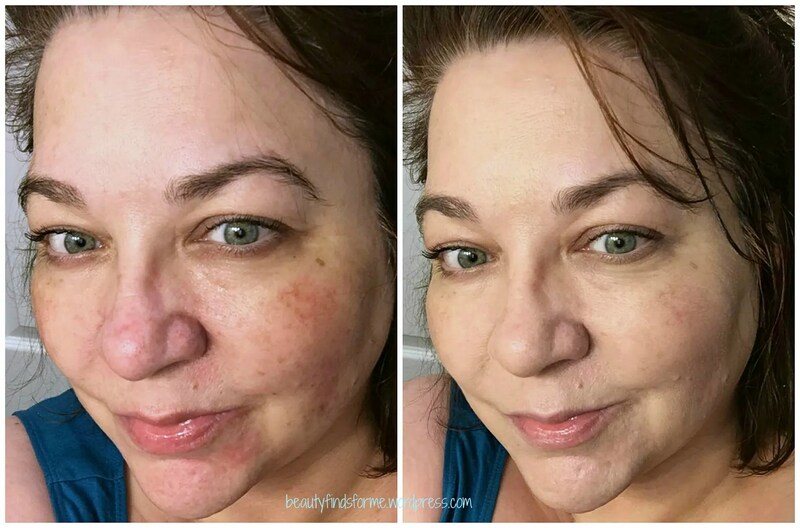 As you can see with the photo on the left, my skin tone is all over the place ~ I have pink areas around my nose, chin and forehead ~ these are my most oily parts of my skin as well. You can see the PIH from blemishes there as well, as well as enlarged pores. The rest of my skin tone is more golden and that is where you see sun damage, hyper-pigmentation on my cheeks. 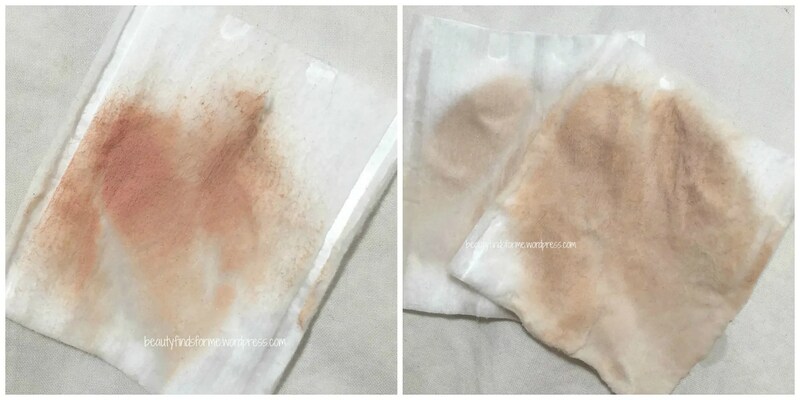 The photo on the right is after applying one layer of this BB cream. It really evens out my skin tone to a more neutral tone ~ it is neither pink nor yellow. 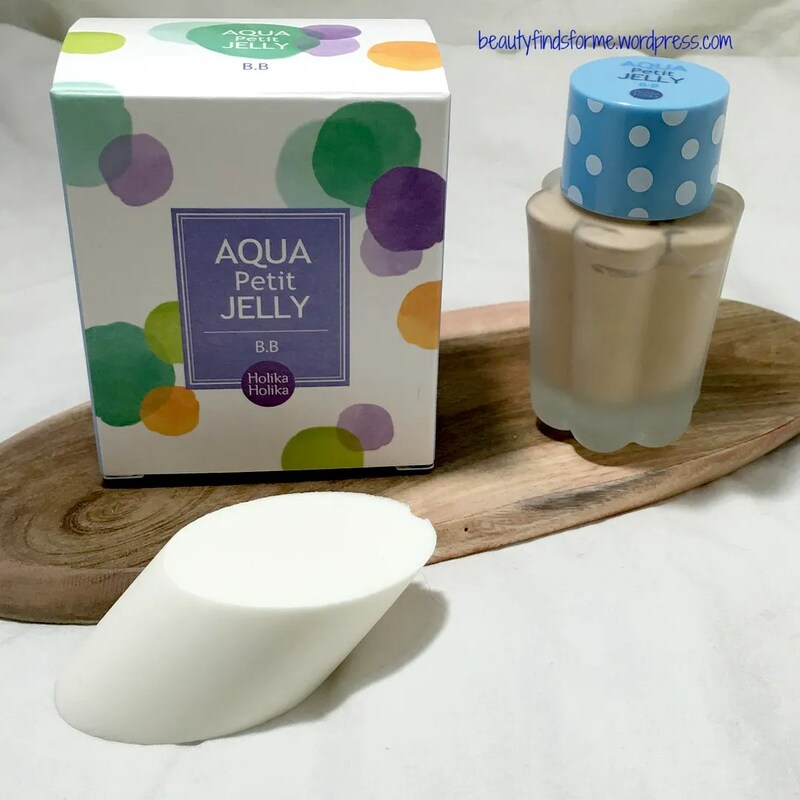 Aqua Petit also brightens up my skin as well. It has a light to medium coverage as you can still see my freckles and hyper-pigmentation, but they are blurred and not as dark. This is actually the type of coverage I really love ~ I don’t like heavy, cakey foundations as they just “sit” on my face. I did have some issues with the area under my lower lip and chin as I was using the sponge ~ I don’t like that finish there, as that is due to the fact I have some bumps and scars in that area. When I use my fingers, it looks more natural and smooth, but the finish is more satin/semi-matte. Sponge application really gives a matte finish. The ruddiness on my skin tone has been evened out as well. The finish of this cream is a matte to semi-matte, due to its water based formula. Depending on where I applied it, it is matte (cheeks, forehead) and semi-matte (nose, chin ~ the more oily places on my face). This is probably the LAST time I will do a photo like this ~ hahaha I really hate doing selfies. At the end of the day, with minimal powder retouches, this is what was on my face. You can see on the photo on the left, that picked up most of the powder and blush that I was wearing and some of the Holika Holika BB cream ~ the photo on the right is the BB cream that was still on my face. I do think this wears well for the most part ~ there were some patches that broke thru, such as my T-zone, but most of the product did stay on my face for 8-10 hours. I DO wish Holika Holika would make this BB cream in tube form. I really love this BB cream from Holika Holika. It is the best BB cream I have ever tried and I have tried a lot ~ thru samples or full sizes ~ this one is by far the best one I have used ~ it isn’t perfect, as I do have issues with the packaging, but I can always decant some into a little container to carry around with me. I do recommend this for oily/combo-oily skin but if you have dry skin and really want to try this, I would recommend adding a bit of lotion to the product, so it is more moisturizing ~ as this is not a moisturizing BB cream. This is perfect for everyday use ~ it is lightweight, gives a natural finish and coverage and wears pretty well. I think I have found my K-Beauty BB cream!! I have two requests for Holika Holika ~ don’t discontinue or change the formula and please create one for a plastic tube! You can purchase the 40 mL size of Holika Holika Aqua Petit Jelly BB Cream for $9.28 USD, which is a savings of over $2.00 off the retail price and they have both shade #1 Aqua Beige and #2 Aqua Neutral. Jolse also has free shipping and gives lots of samples too when you place an order with them. 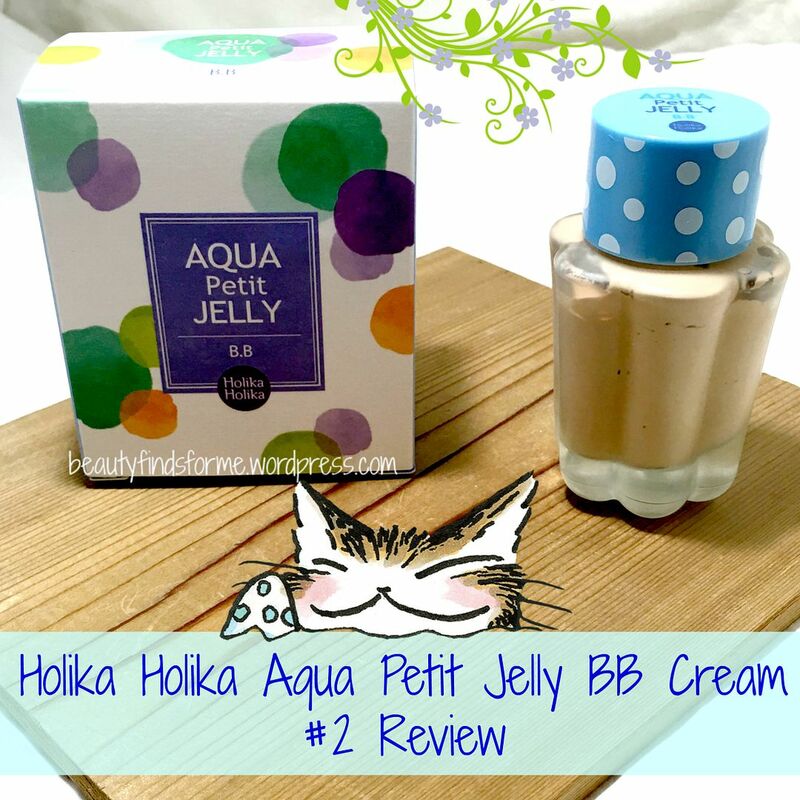 Have you tried Holika Holika Aqua Petit Jelly BB Cream (what a mouthful!) or want to? What did you think of it? I’ve been curious about this product for ages! Thanks for your thorough review. I just might have to order this off Jolse. I’ve not shopped on there but I heard about it from Fifty Shades of Snail and I’ve been itching to order something! My current favourite BB cream is from Charmzone Natural BB – have you tried that one? thank you!! I am glad you enjoyed my review and found it helpful. I have heard of Charmzone before ~ I have tried their ginkgo cleansing foam and cleansing wipes. I didn’t know they made a BB cream! You will like ordering from Jolse ~ pretty decent shipping times (I usually get my packages within 14 days – I live in the USA) and they always give you free samples too. Great prices and free shipping – can’t beat that! That is quite a compliment! I would totally order this, except that both shades would be too light for me =(. it actually isn’t thaaaaat drying imo, I have a dehydrated skin and still this is one of my fav bb creams, sure I don’t use it during winter unless my skin is really exfoliated moisturized and all that jazz, but it’s because my skin becomes as dry as a desert and as flaky as a fish during winter so no bb cream would look good on my skin. this still remains my favorite BB cream. I just wish it came in a tube!